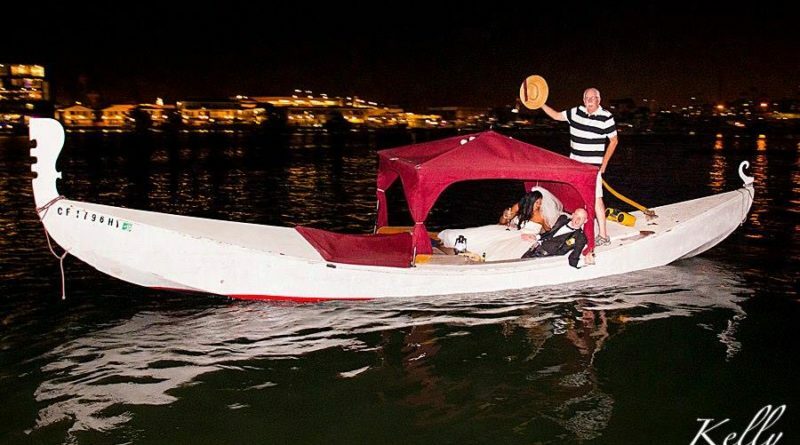 NEWPORT BEACH — James Mahoney, who operated Gondola Romance in Newport Beach Harbor, died on June 25, according to a blog post authored by a fellow gondolier; he was 75 or 76 and reportedly died after battling a long illness. Mahoney was born in 1942 grew up in Connecticut and acquired his first boat when he was 10. He later started Gondola Romance, which navigated the waters of Newport Beach. “For the past 25 years I’ve had the honor of sharing the water with him,” Greg Mohr of Gondola Adventures wrote in his blog post about Mahoney’s death. “Our encounters were always fun, often boisterously greeting each other from one gondola to another, and I never saw him in a negative mood. He loved the water, and the feeling must have been mutual, because his times on the boats were like nutrition for his soul. Mahoney and his family started a gondola business in 1984. His gondola fleet highlighted the original Venetian design, which required rowing and differed from the motorized version of gondolas built in the United States. The gondolas of Mahoney’s fleet were equipped with a canopy, as well. No additional information was available about Mahoney’s death, funeral or memorial service. The Gondola Romance website was also not online as of press time.